Do you know if the amount you're paying on your HVAC and cooling bills are too much? It may be time to think about an HVAC replacement. It's important to keep up with your HVAC system's care and maintenance to make sure you never have to suffer the discomforts of a sweltering summer afternoon or freezing winter night. Modernize has over 10 years of experience helping homeowners find and compare estimates on HVAC in Bakersfield, CA. We are proud of what we do. We want to connect our homeowners to the best local HVAC and AC contractors in a quick and easy process. It is always smart to compare at least four different price quotes from contractors to make sure you are getting the best local prices on installation services. We can connect you with the local HVAC professionals you need so you can take care of your heating and cooling system properly. Get free quotes from the best hvac repair contractors in Bakersfield, CA, ready to complete your project. To make the process of replacing your home’s HVAC easier, the ModHVAC Calculator offers system recommendations and a quick estimate of your replacement costs to save you the guesswork. To use the tool, just slide the bar in the green box to match your home’s square footage. Then enter your city and state below and click Calculate Cost. Seconds later, you’ll be provided with a set of options for your new HVAC unit. You’ve decided the time is right to replace an existing HVAC system with an upgraded model with better efficiency; your current system is beyond repair; or you’re having a new system installed for the first time. Whatever the reason, it is a good investment that will continue to supply a return on your initial investment with better energy efficiency and lower monthly utility bills. In Bakersfield, a permit is required. In some cases, along with the fee, a special permit is required when a HVAC system is being installed. For information about the type of permit you need, visit the Community Development Building at 1715 Chester Avenue, email devbld@bakersfieldcity.us, or phone (661) 326-3720. The office is open Monday through Friday from 8 a.m. to 5 p.m. The state of California requires that only a state licensed and certified HVAC contractor do the installation. When doing research for a contractor, ask to see a copy of their license. Note the information, then run a search on the company using the search option at the Contractor’s License State Board website. This will let you know if the contractor you’re considering actually holds a current license and one that allows the company/staff to do HVAC installation. Do the license search for each contractor you are considering when getting estimates for the cost of installing the HVAC system. If this is a first time installation, depending on the system choice, you may need to have insulation installed. If it’s an HVAC replacement, consider replacing the old insulation with a new rolled or blown-in product. Be sure to ask the contractor if he will be doing the work or if you will need to hire an insulation specialist. If you need to hire a second contractor, the same rules apply. Check their credentials to ensure they are qualified and licensed to do the work. Failure to get a permit can result in fines that exceed the cost of the permit. It may also mean you will need to hire a certified contractor to redo the work. If you should hire a contractor who has not followed state licensing requirements, your warranty can be considered void. It also means if the property is inspected, it won’t pass. This can create more problems including cancellation of the insurance covering your property. Do it right from the start and hire a state certified contractor and check with a representative at the Community Development Building about what type of permit is needed and how long it is in effect from the time it’s approved. 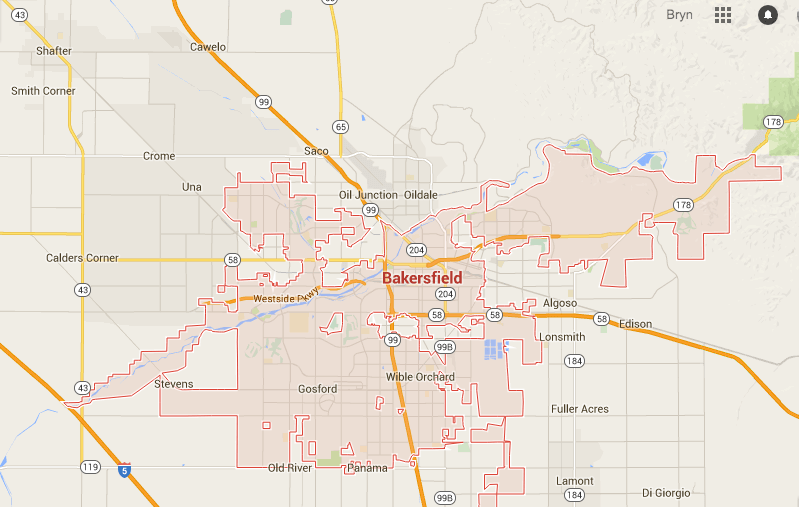 California cities have diverse climates throughout the year and the city of Bakersfield is no exception. With temperatures that range from the high- 30s to the high-90s, you want, and need, a system that will provide and maintain the temperature levels necessary for a comfortable environment anytime of the year. When buying a HVAC system, consider asking these questions of each respective dealer, then compare the answers. What brand is best for me? This depends on the size of the property. Many HVAC systems have similar safety features and compressors and offer similar choices in efficiency level. All of the best furnace brands or top AC brands should last between 15 to 20 years. The SEER and HSPF ratings are a factor as the higher the ratings, the better the efficiency, and the higher the system cost. Will I save money on my utility bill with a new HVAC? This depends on the SEER and HSPF ratings, whether or not the system is properly installed by a certified contractor, if insulation needs replacing, and if the ductwork is secure and not leaking. What will a new HVAC system cost? Get estimates from more than one company. Check consumer reviews for brand products. Be sure the estimate includes all costs of the equipment, accessories, labor for installation, piping, and ductwork and insulation, if applicable. How many years does the warranty run? You’ll have a warranty from the manufacturer that covers the equipment. The contractor will also have a warranty for labor for repairs. It is highly recommended that you get a written 100 percent money back guarantee for the installation work. Be sure it is signed and dated. Since a new or replacement HVAC is a significant investment, you may find it necessary or more convenient to find private funding from your local bank or lending facility. Other options can help defray the cost such as tax credits, refunds and rebates. For information on programs that may be available to you, visit the websites for Energy Efficient Programs in California, Property Assessed Clean Energy (PACE) and the U.S. Department of Energy. You can turn your Bakersfield property into a comfort zone year-round with a properly installed HVAC system. You’ll recoup your initial investment with lower utility bills and raise the value of your property should you choose to list it with a realtor.